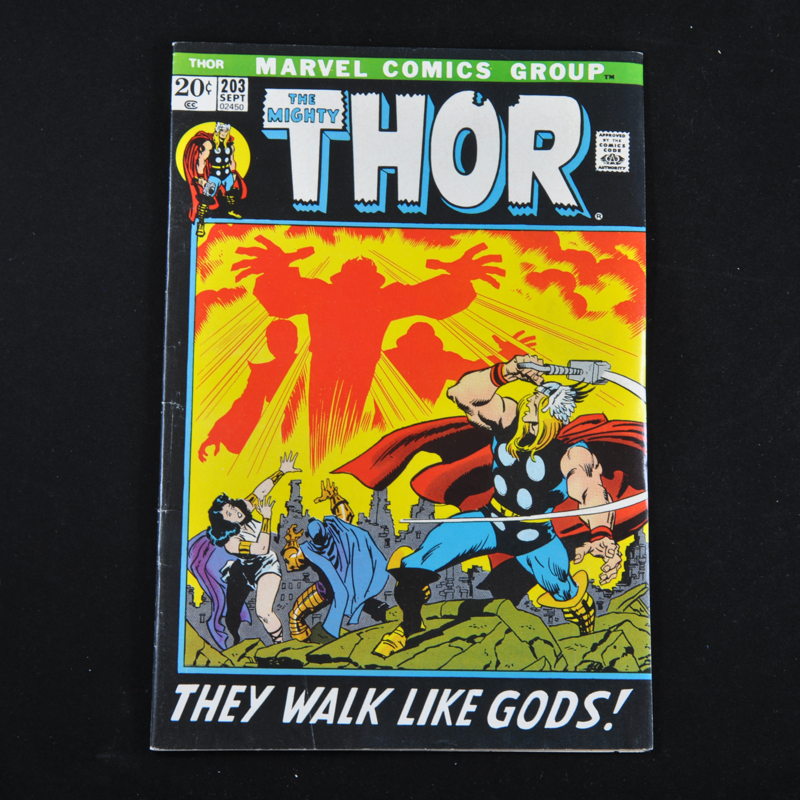 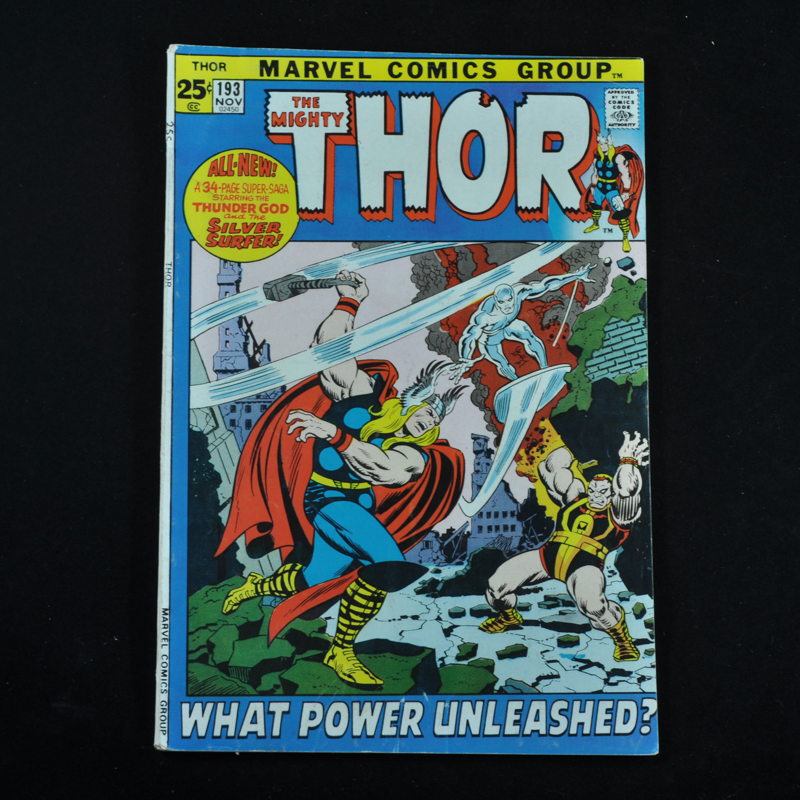 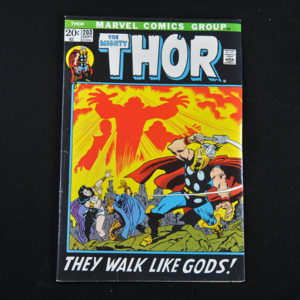 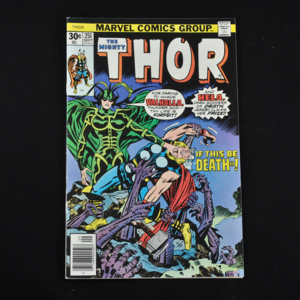 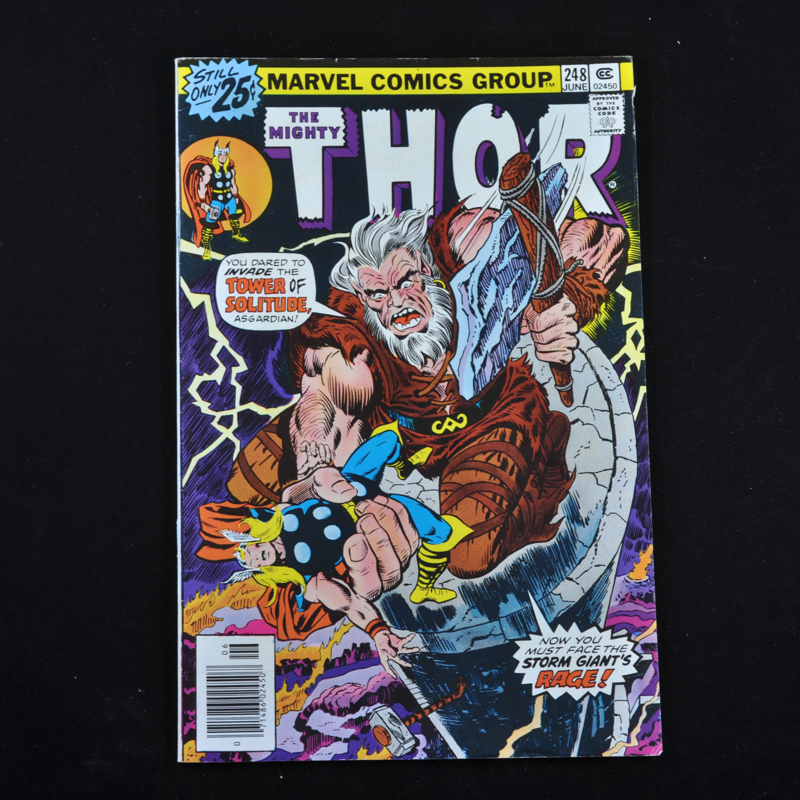 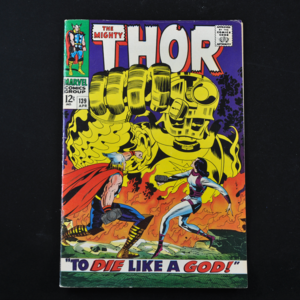 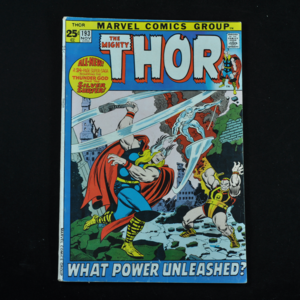 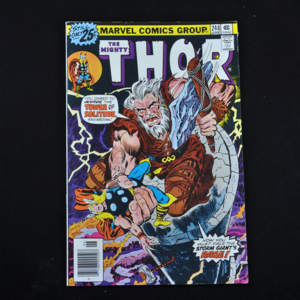 Large collection of Thor comic books (Marvel, 1966-1996). Thor Vol. 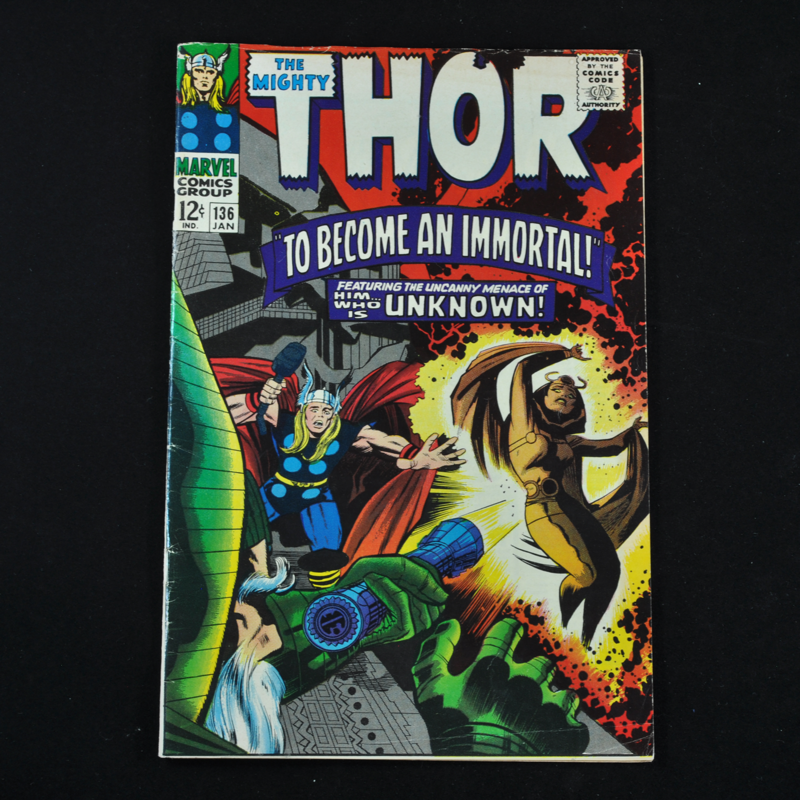 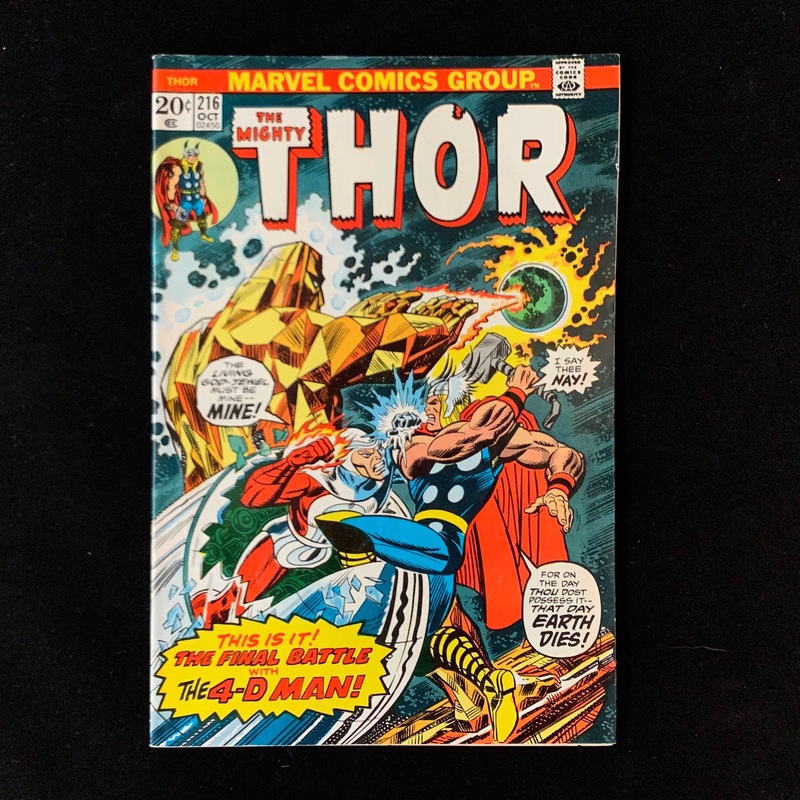 1 was a continuation of the story of the popular Asgardian superhero from Journey Into Mystery (Marvel, 1952-1966) with the new Thor comic book series picking up where Journey Into Mystery left off at #126. 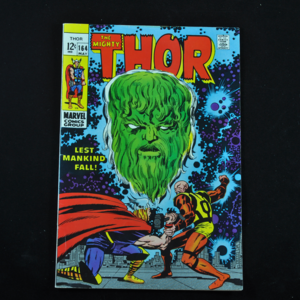 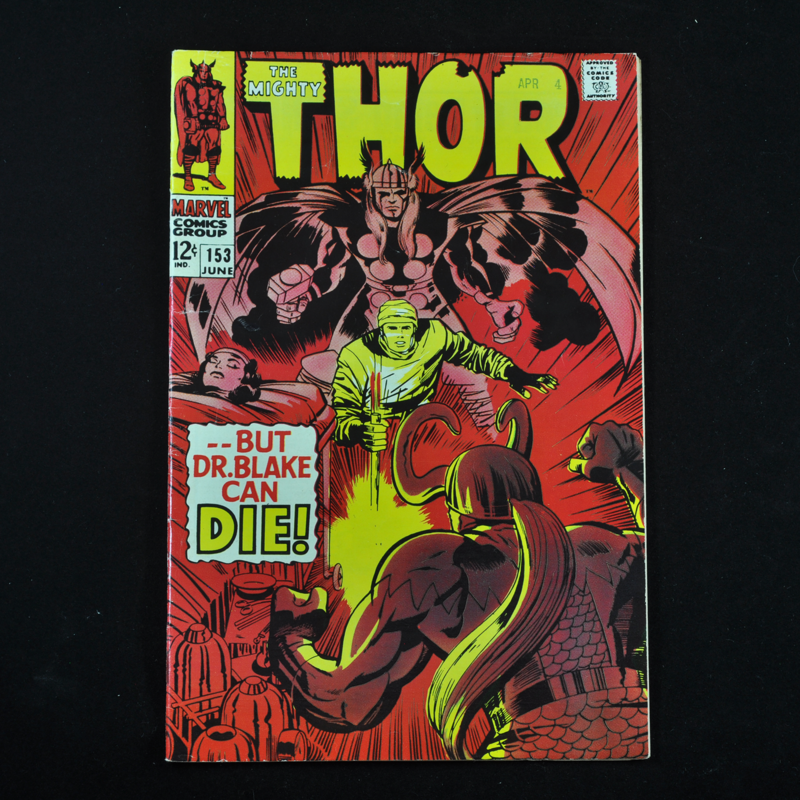 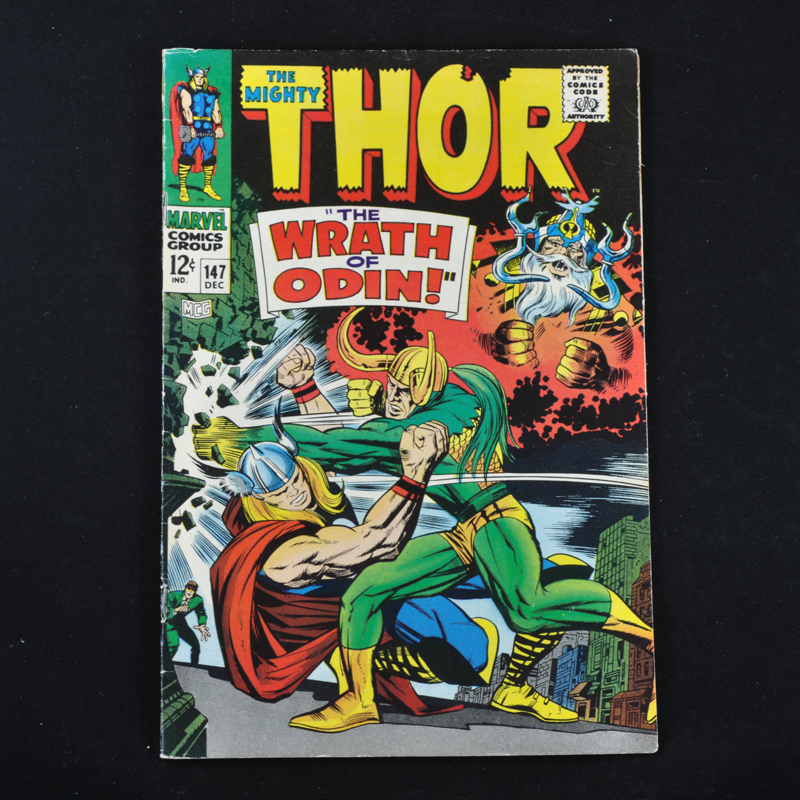 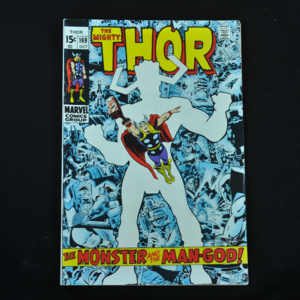 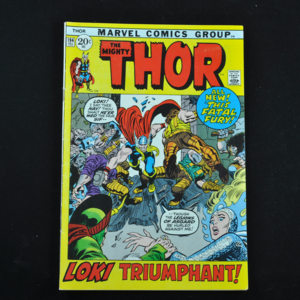 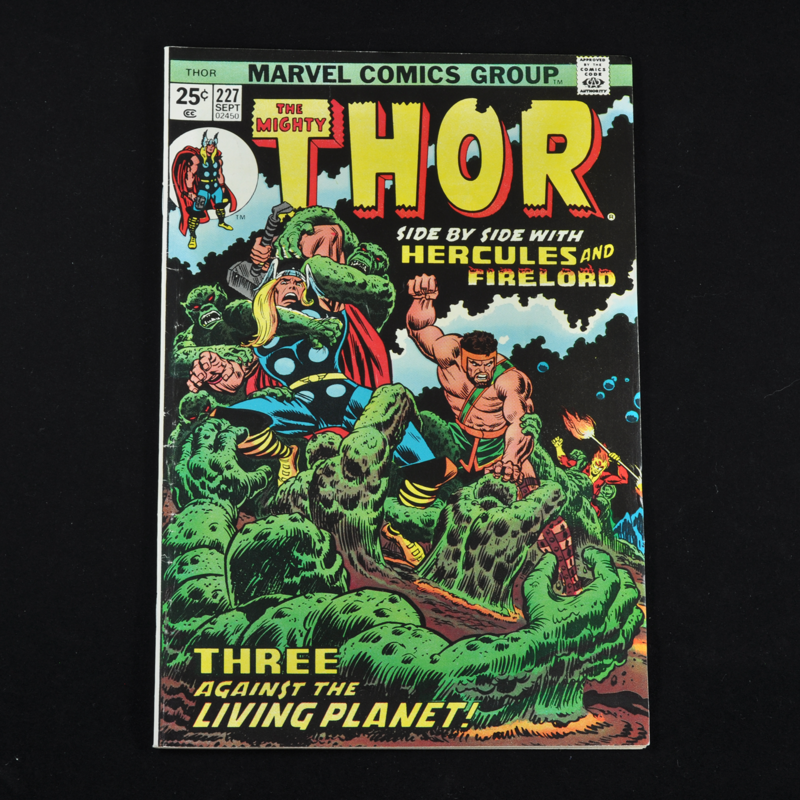 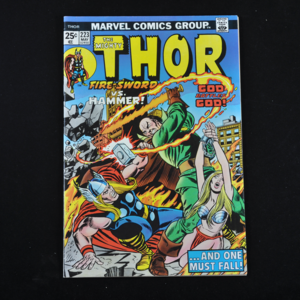 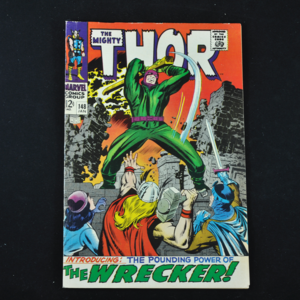 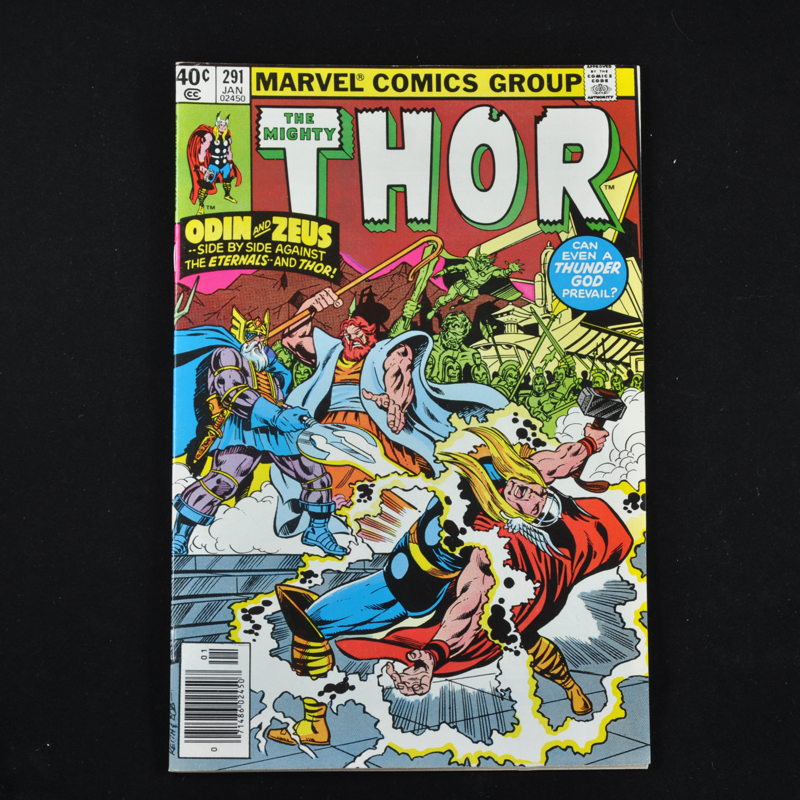 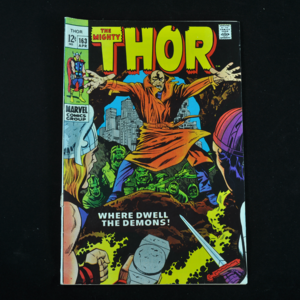 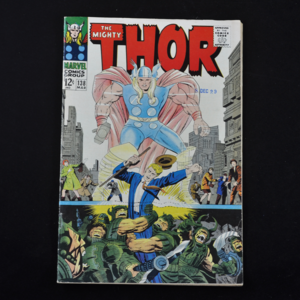 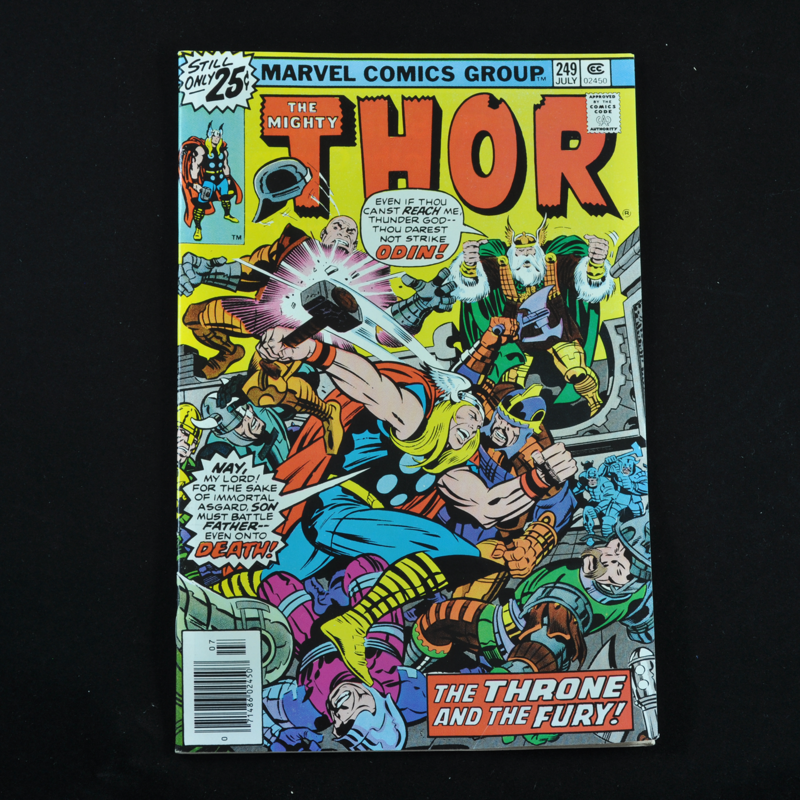 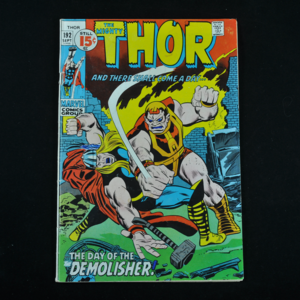 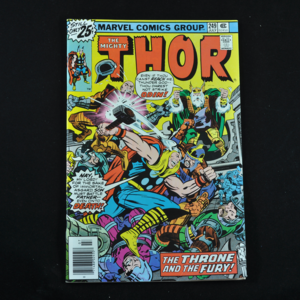 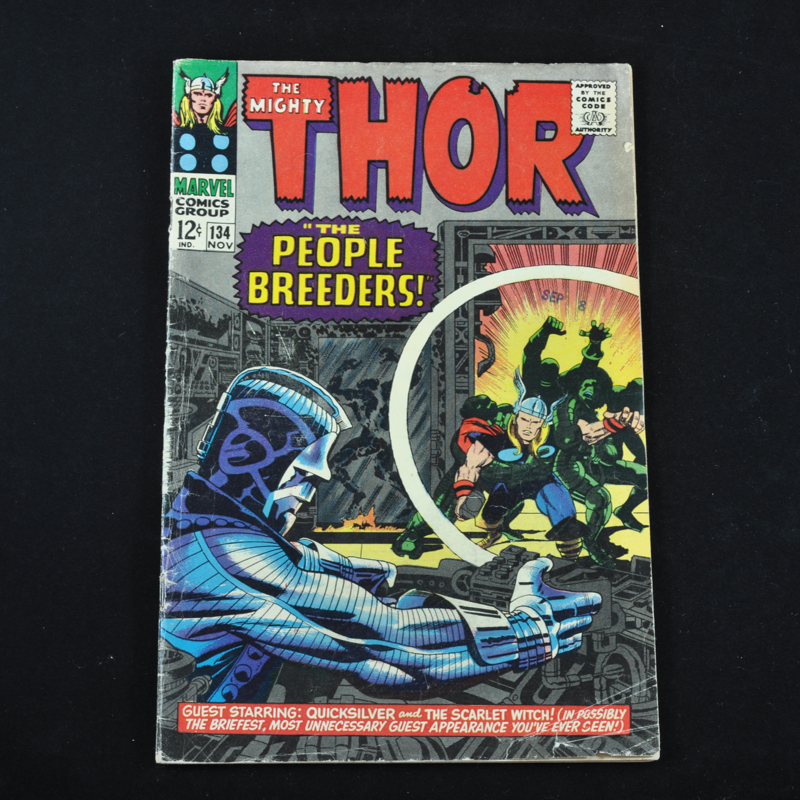 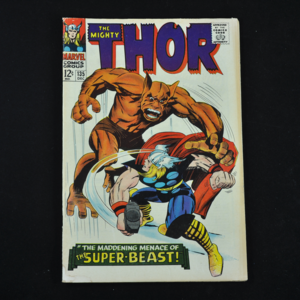 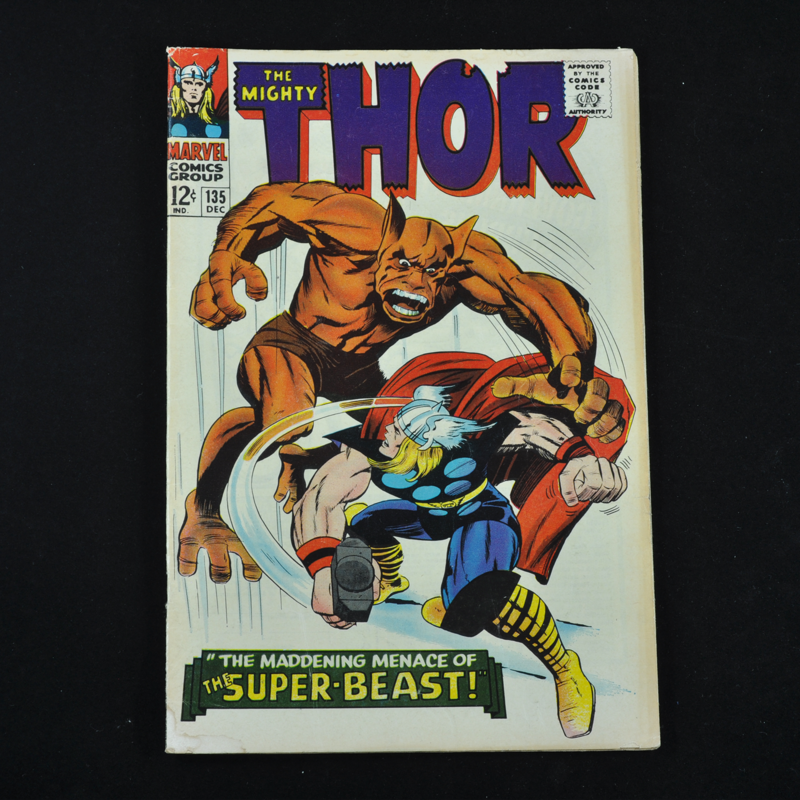 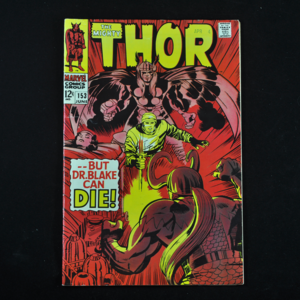 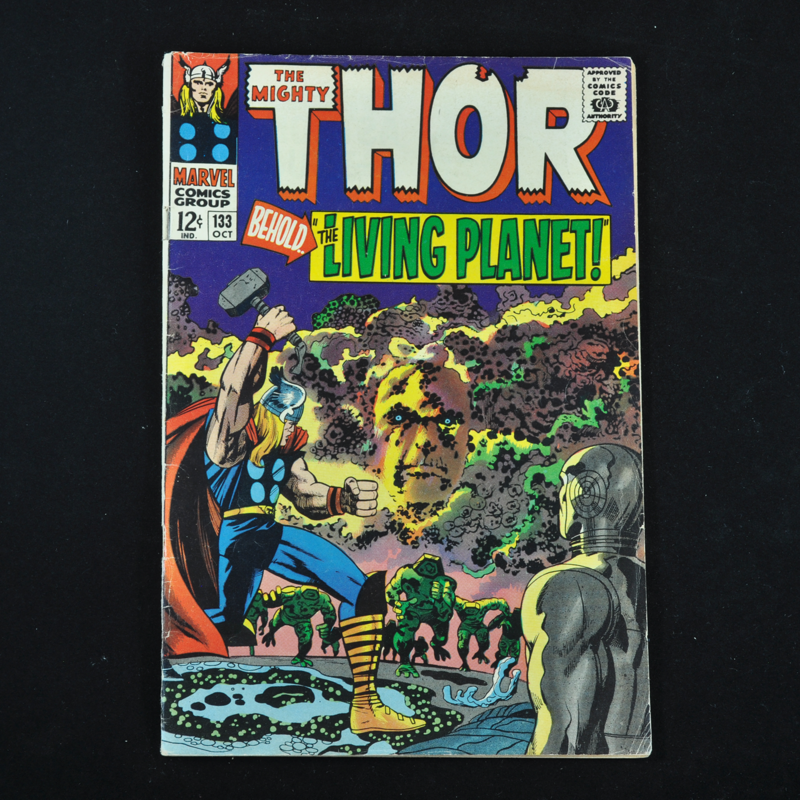 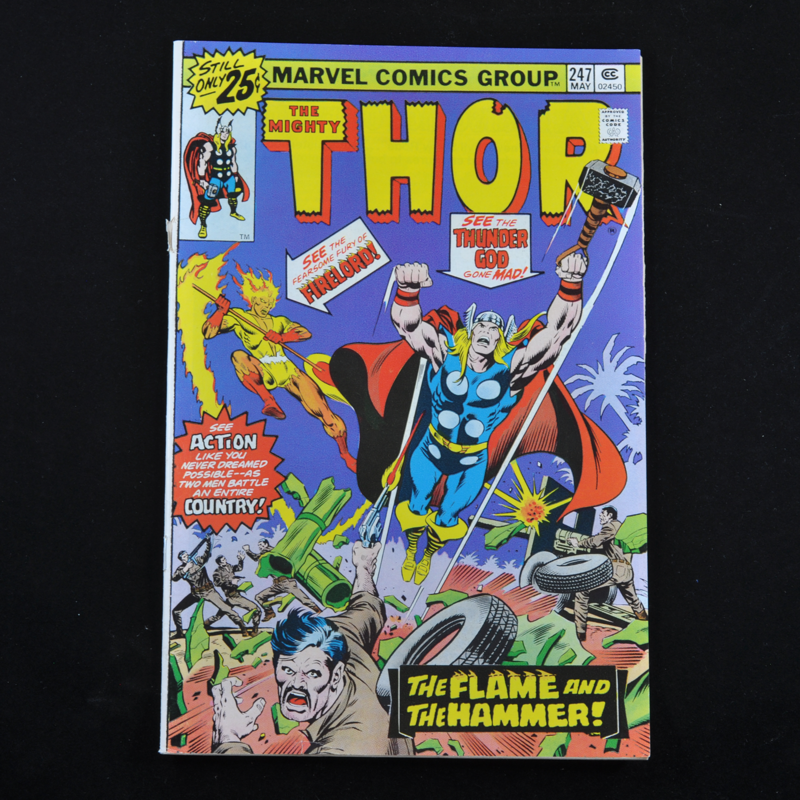 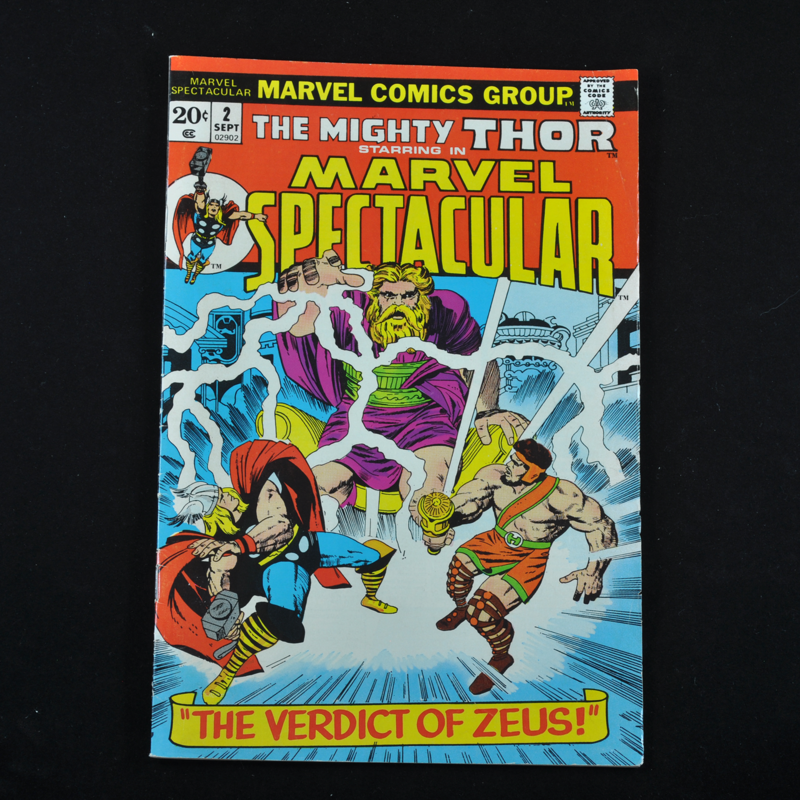 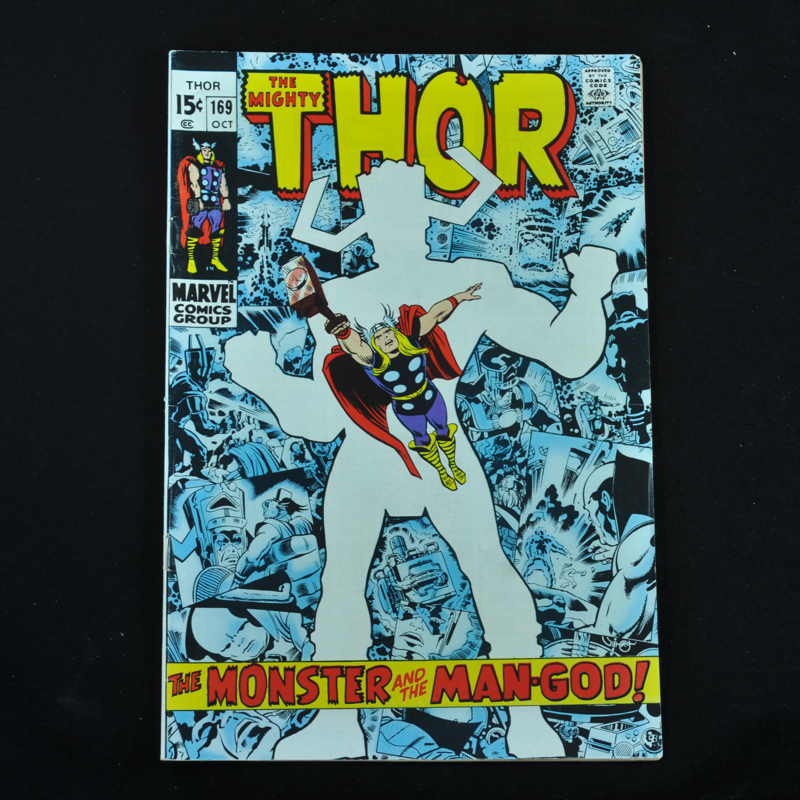 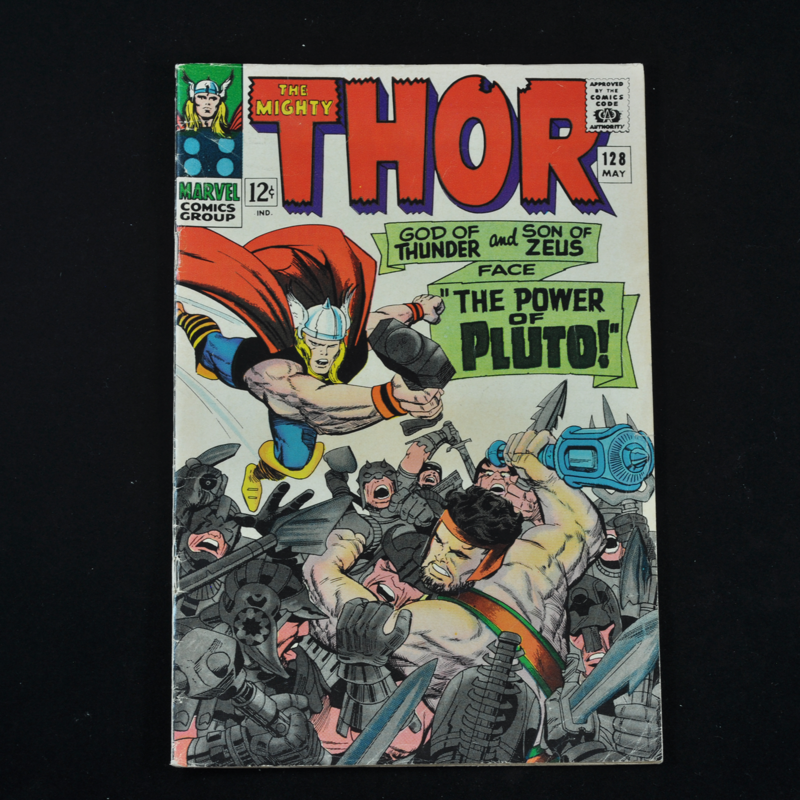 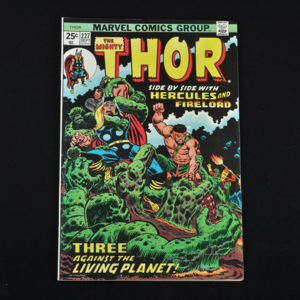 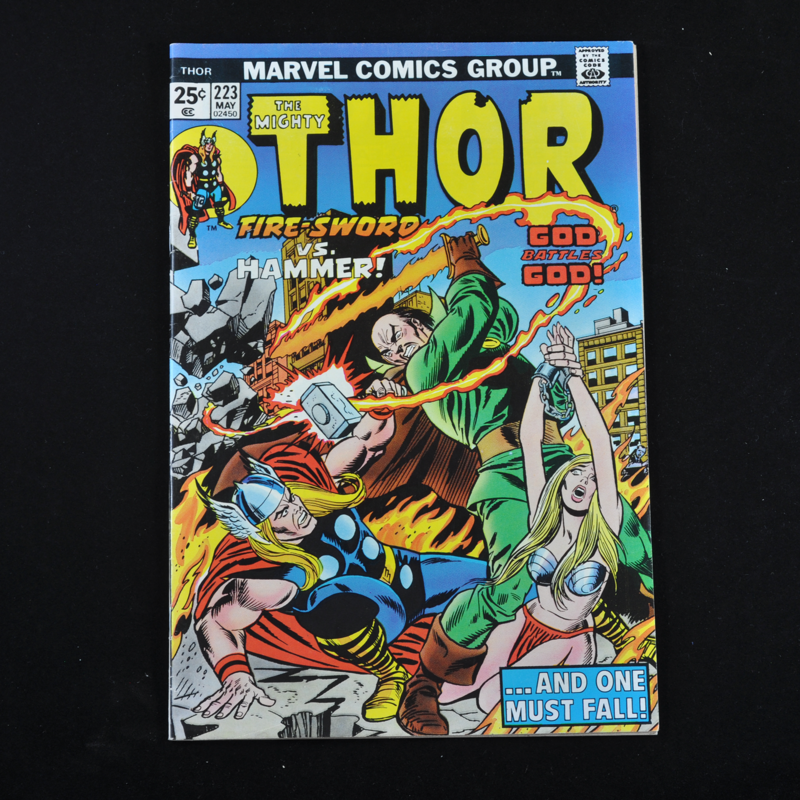 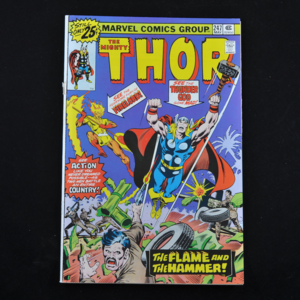 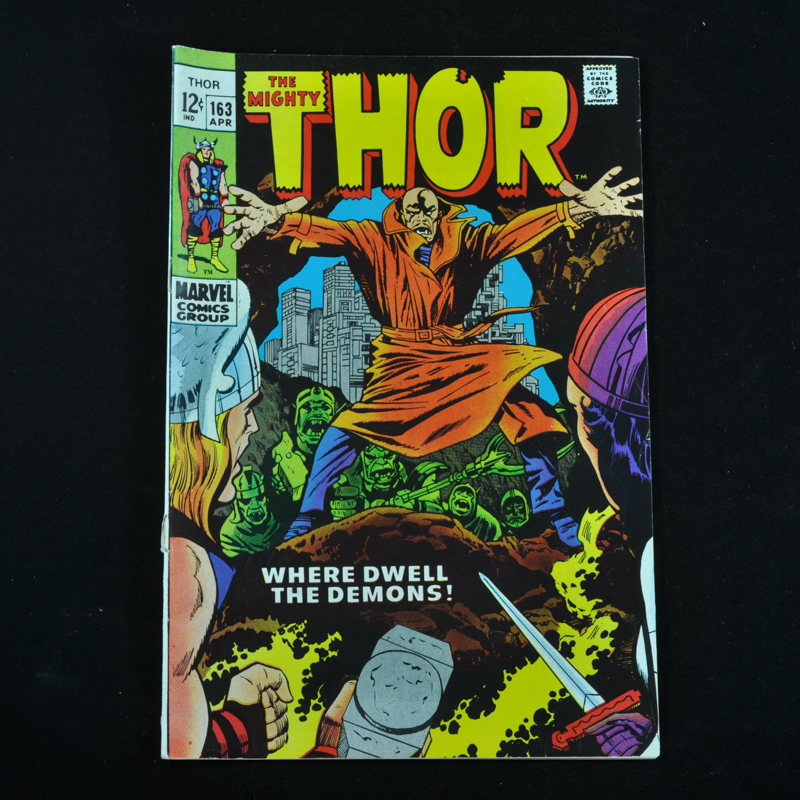 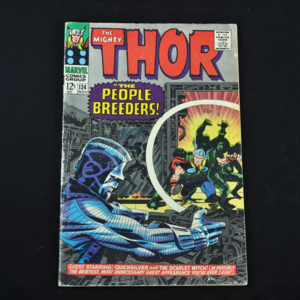 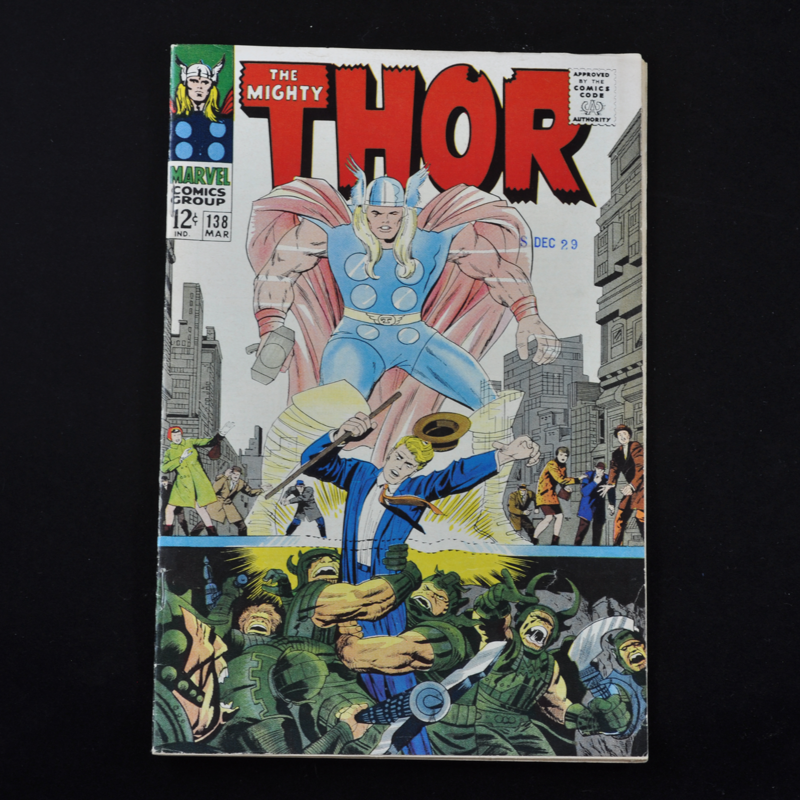 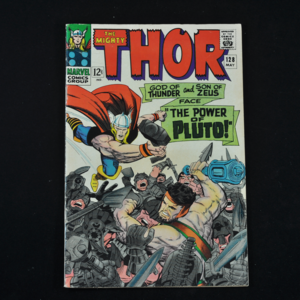 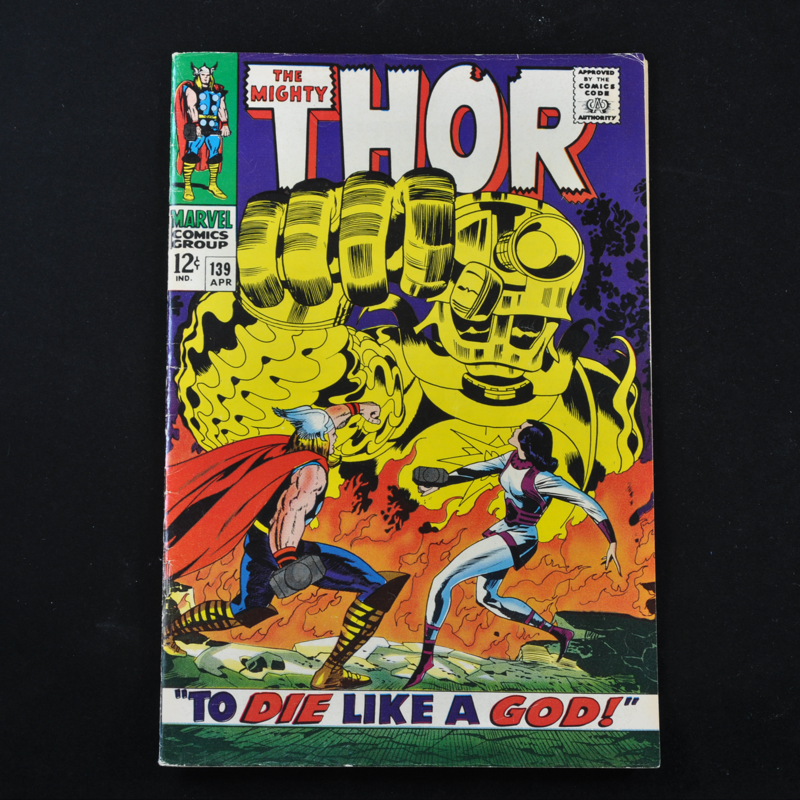 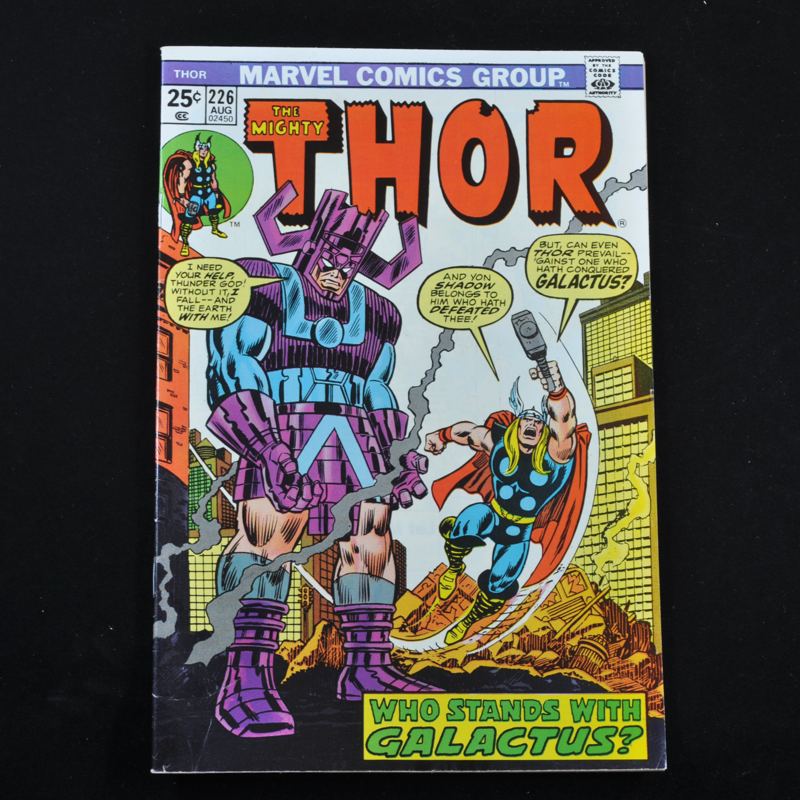 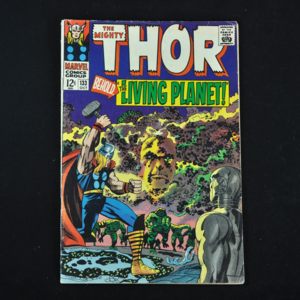 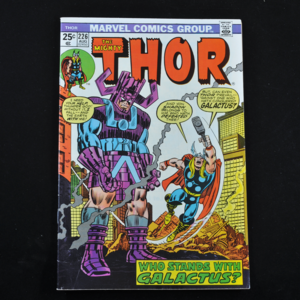 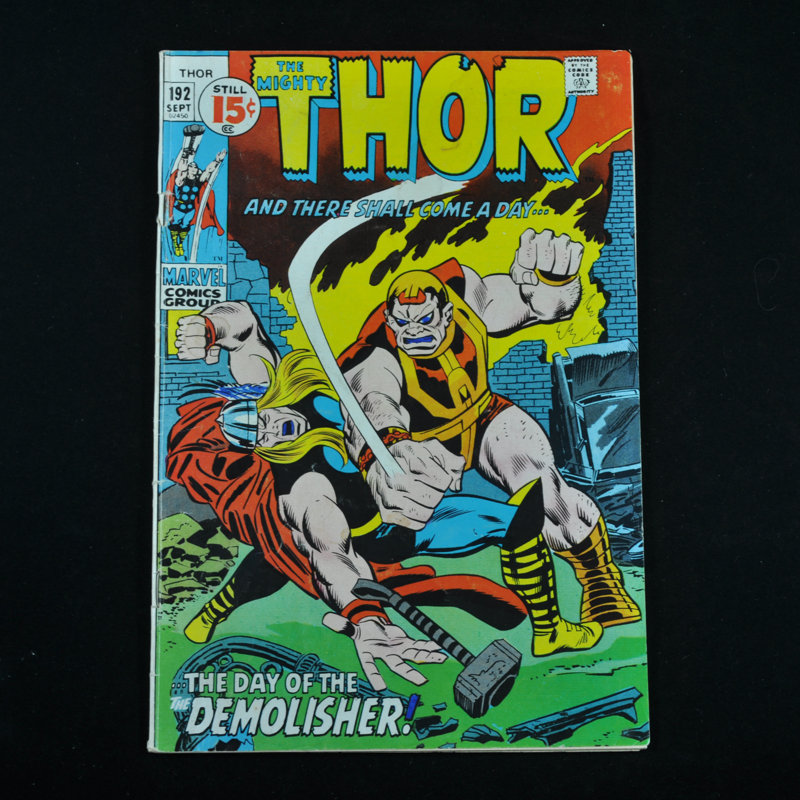 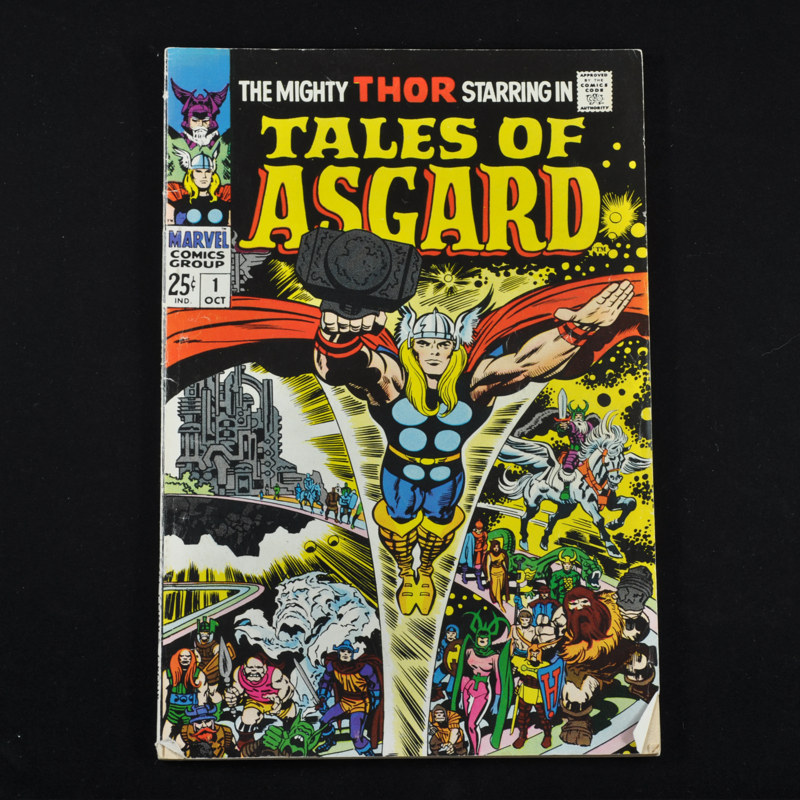 This collection is comprised of 28 Thor comic books dating from 1966 to 1980 including: #128, #133, #134, #135, #136, #138, #139, #147, #148, #153, #158, #163, #164, #169, #192, #193, #194, #203, #216, #223, #226, #247, #248, #249, #251, #274, #227, and #291. 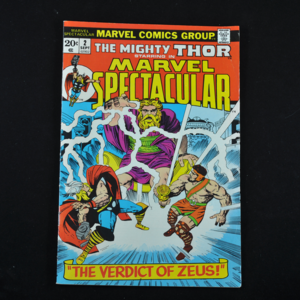 This lot also includes two extra comic books: Tales of Asgard #1 and Marvel Spectacular #2 "The Verdict of Zeus," featuring Thor. 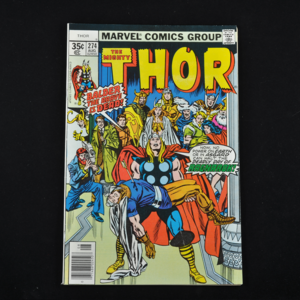 Dimensions: each book is approximately 10 1/4"h x 6 3/4"w. Processing and shipping within the continental U.S. $25.00 plus 1.5% replacement cost insurance. 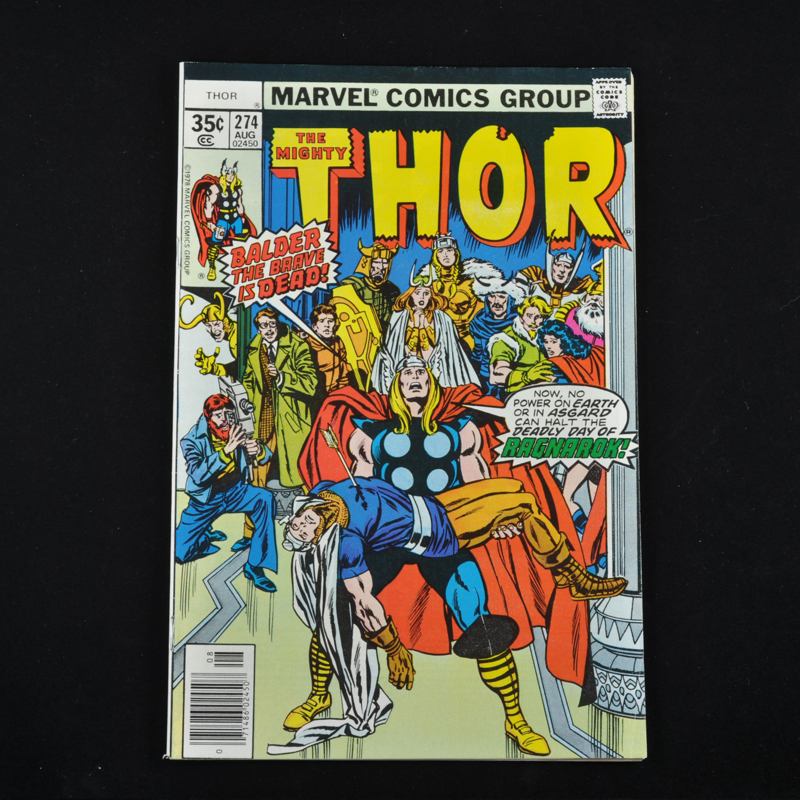 In Thor #136 there has been a small rectangle cut out of one page. 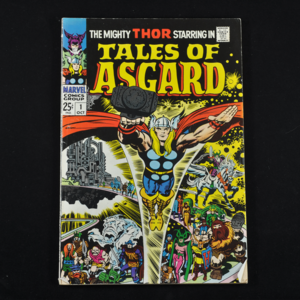 Larger cutout in Tales of Asgard #1. 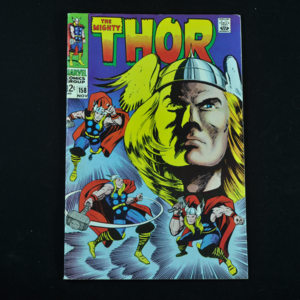 Otherwise, for the rest of the comics, all pages (including advertisements) are present and whole.